Bank of Baroda Probationary Officer Recruitment 2018 Apply Online: Bank of Baroda has issued a notification for the recruitment of Probationary Officer in Junior Management Scale I . Interested candidates can apply by 02-July-2018. Other details of Post like Start Date of Application, Closing Date of Application, Number of Posts, Age, Qualification, Application Fee, Location, Official website link and How to Apply are given below. IBPS RRB Recruitment 2018: Officers and Office Assistant Posts: IBPS has issued a notification for the recruitment of Officers (Scale-I, II & III) and Office Assistant (Multipurpose) Posts. Interested candidates can apply by 02-July-2018. Other details of Post like Start Date of Application, Closing Date of Application, Number of Posts, Age, Qualification, Application Fee, Location, Official website link and How to Apply are given below. 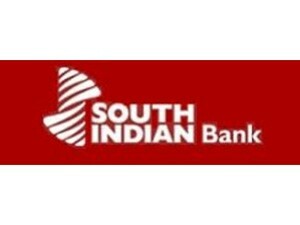 South Indian Bank PO Admit Card 2018 Available: South Indian Bank has issued the Admit Card for Probationary Officer Scale I Post. Post name or Exam Name, Download link, Date of Examination, Number of Vacancies and Official Website link are mentioned below. BOI Credit Officer Admit Card 2018 Available: Bank of India has issued the Admit Card for Credit Officers in General Banking Stream. Post name or Exam Name, Download link, Date of Examination, Number of Vacancies and Official Website link are mentioned below. RBI Recruitment for the Post of Assistant PWD Admit Card 2018: RBI has issued the Admit Card For Post of Assistant PWD. Post name or Exam Name, Download link, Date of Examination, Number of Vacancies and Official Website link are mentioned below. IBPS Clerk Main Admit Card 2017 Available: IBPS has issued the Admit Card For CWE-CLERKS-VII Main Examination Call letter. Post name or Exam Name, Download link, Date of Examination, Number of Vacancies and Official Website link are mentioned below. Federal Bank Clerk Interview Letter Available: Federal Bank has issued the Admit Card For Clerk, Officer Scale I. Post name or Exam Name, Download link, Date of Examination, Number of Vacancies and Official Website link are mentioned below.